It’s Christmas Eve! Which means I am home for the holidays in New Brunswick; the stockings are hung; the egg nog is chilling. Life is good. I had planned to sit down to do a quick post before putting away the laptop for the next couple of days, but that was an hour ago. In follow up to Martha’s post last week, I was working on adding Fort Needham Memorial Park to the directory when I fell down a rabbit hole. But I don’t want to get ahead of myself. 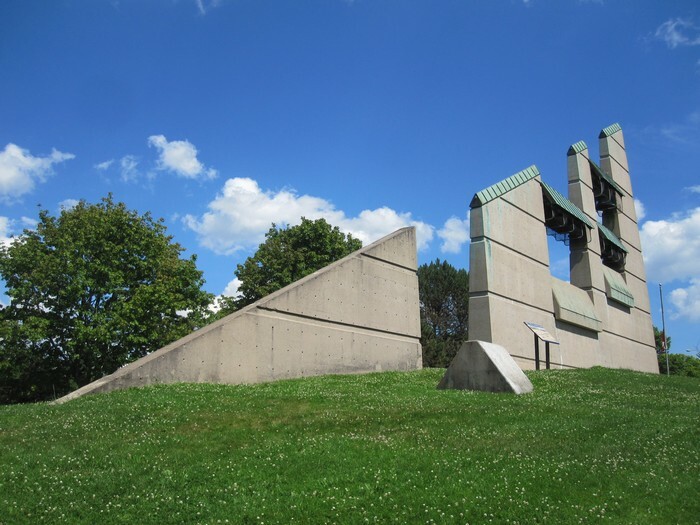 As Martha mentioned last week, Fort Needham Memorial Park is home to the City’s most notable tribute to the Halifax Explosion. It’s also a fantastic fetch spot, offering a large grassy field that is off-leash approved! In fact, Fort Needham Memorial Park is our favourite North End haunt (due in large part to the serious lack of options in this area). Hemlock Ravine Park: We Broke the Rules Again. And We Didn’t Even Mean to This Time. Graham’s Grove Park is one of those little nooks you can drive by a hundred times and hardly notice. It covers a small peninsula that juts out into Lake Banook, making for a lovely green space that is surrounded by water on three sides.